Mehndi is a very important part of the rich culture of India. They are believed to have originated in Egypt, and that they were later brought to India. This is not just another way to beautify your body. In addition to this, it is statement jewelry in its own right, and choosing the right one for a special occasion can be a hard task. However, we are here to help! 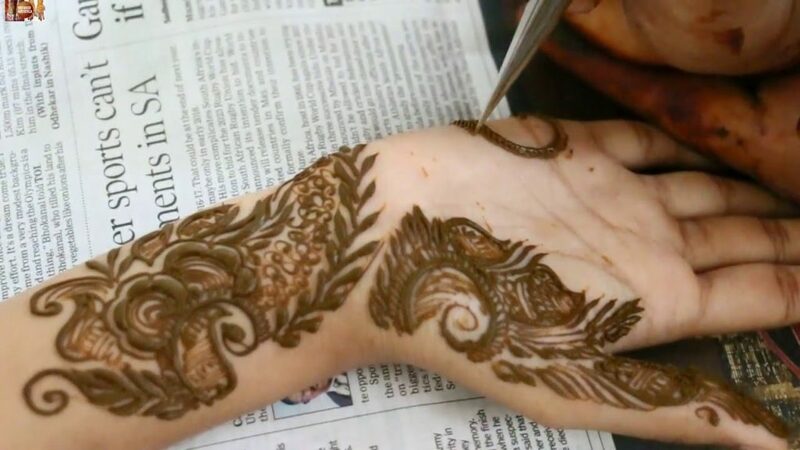 Read on to learn about all the different mehndi designs available. Mehndi is beautiful, culturally rich and important, sentimental and of major social importance in India. This is a popular art recognized around the planet, with the strongest and most special significance in the east. Therefore, there is a wide variety of different mehndi designs and types. We hope you will find your favorite one among these. With no disrespect to the other designs, the charm of this beautiful style is truly incomparable. Indian mehndi designs are both elaborate and condensed at the same time, believe it or not. They possess finesse detailing, while every element holds special meaning. 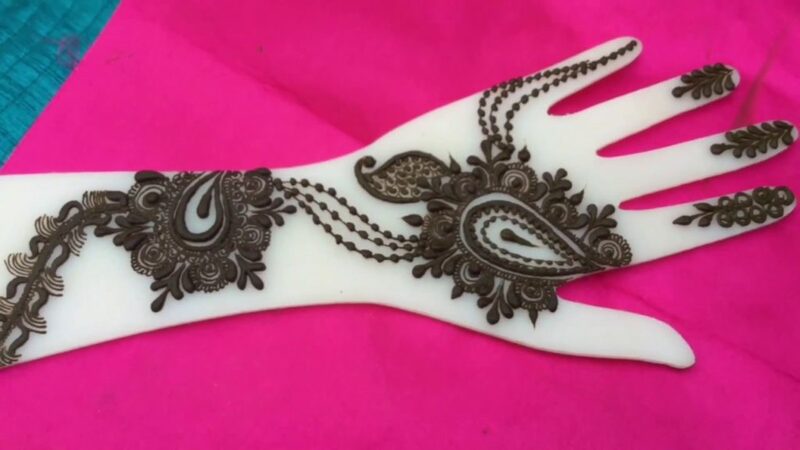 This type of mehndi is popular for traditional celebrations like Diwali and Karva Chauth. In addition, brides wear them the most. 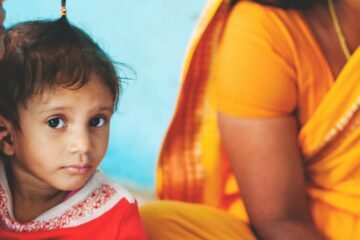 In most cases, the designs from India feature art inspired by earth, emotions, and nature. 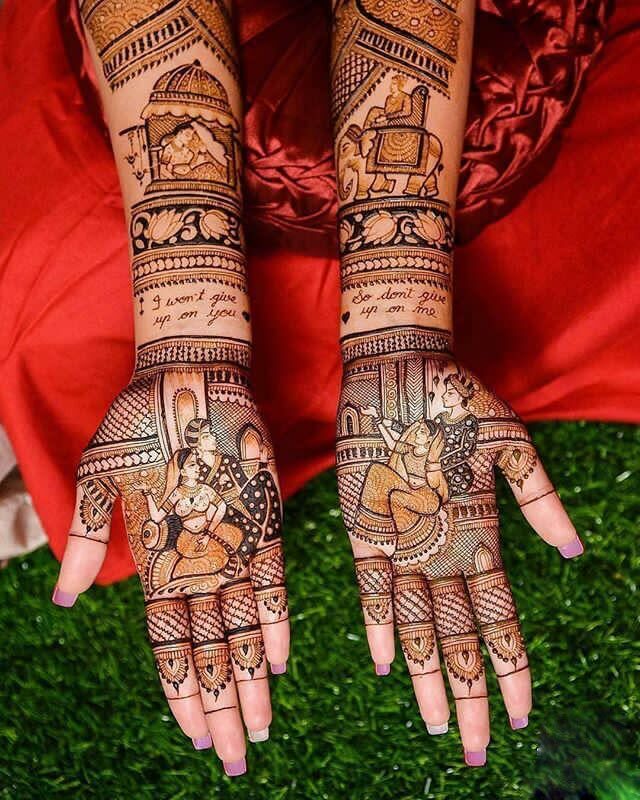 There could be elements and shapes of birds, animals, the sun, and Kalash, while bride and groom figures are often featured in Indian wedding designs. The best way to take the most unique parts of two things is fusion, as it brings the best of two worlds together. 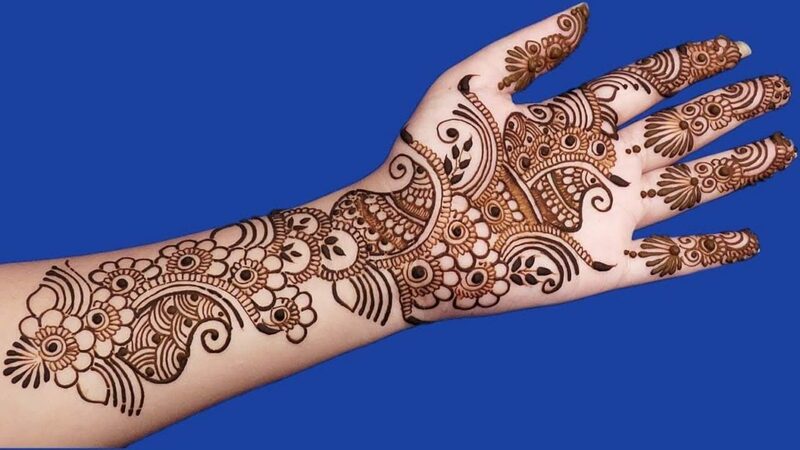 One such example is the Indo Arabic Mehndi designs for hands. These mehndi designs are a display of the best of Indian and Arabic designs, and they look amazing. One of the most usual features is floral patterns and birds (Indian), mixed with cashew and shading (Arabic). Since they come from the same region of the world, there are many similarities between this design and the Indian one. However, though, this type does not have Hindu elements. Instead, it utilizes domes, flowers and leaf patterns. Exactly like the traditional Indian mehndi, the Pakistani design features mandala patterns as well, although not that often. Another similarity is that it is also regularly influenced by the Arabic style. 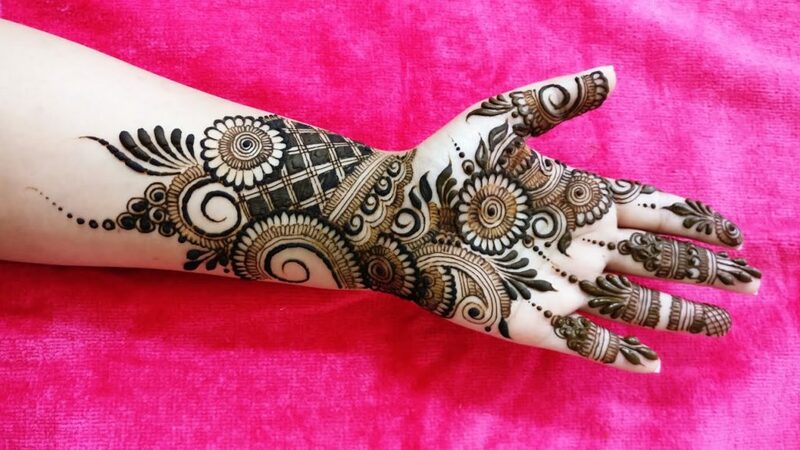 Like a lot of other traditional things from the east, mehndi is another exotic piece of admiration for the western civilizations, who also tried their luck with it. 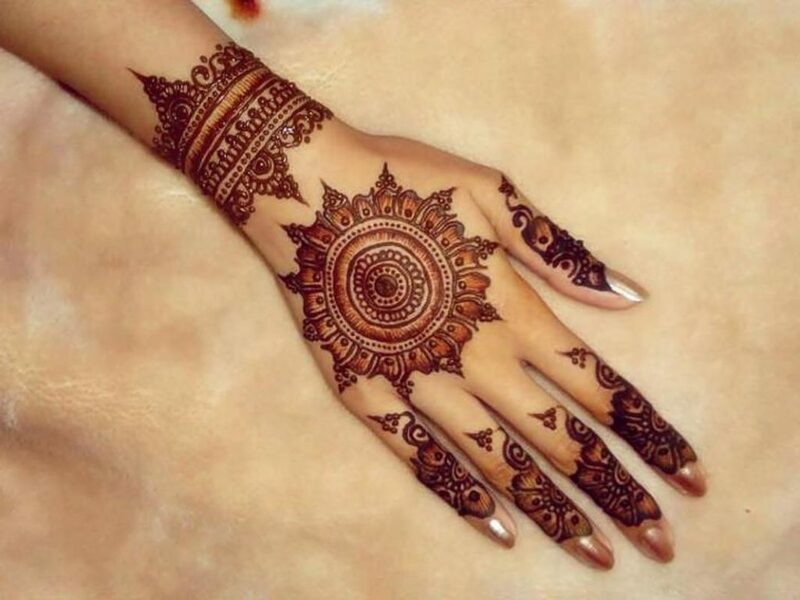 It is this jewelry tradition that inspired the Henna tattoos in the western world. 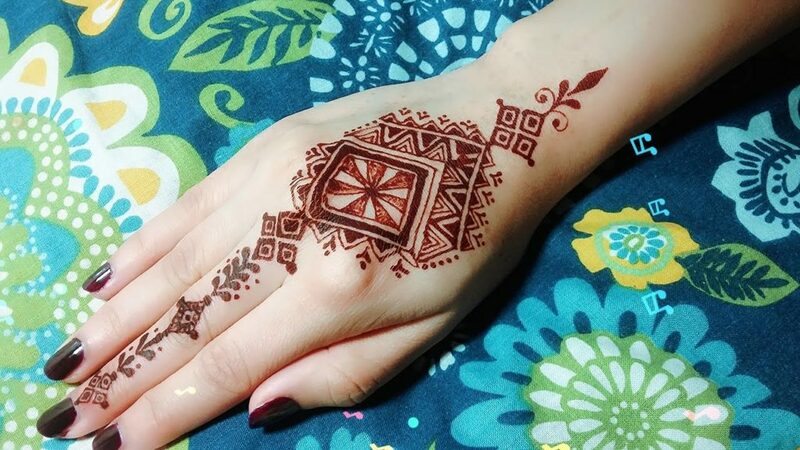 Western mehndi designs are much different than their eastern cousins, as they feature geometric shapes, quirky patterns and even imitate regular hand jewelry and art pieces. Therefore, you have bracelet mehndi, chandelier mehndi for example. That is right, another fusion, this one between far more diverse designs. Like a mix of the east and west, this style of mehndi is usually a style statement, far from any traditional meanings and themes. This design is spaced out and features a combination of different modern patterns and traditional Indian elements. Different from the rest on the list, this mehndi design is inspired by traditional tribal symbols and patterns. Moroccan mehndi designs are similar to western tribal tattoos because of the zig-zag lines, quirky aesthetics, and geometric curves. One of their most prominent features is diamond shapes. Unlike the Indian mehndi designs, these ones from Morocco are not elaborate but are nonetheless beautiful. Another difference with these is that they are not necessarily reserved for women, as men like to do Henna tattoos inspired by them. Other than these mehndi designs, there are more around the world, as well as different fusions between all of them. These were the most popular and common ones, and we hope that you now have a favorite. Do not be afraid to try one on with your next outfit!